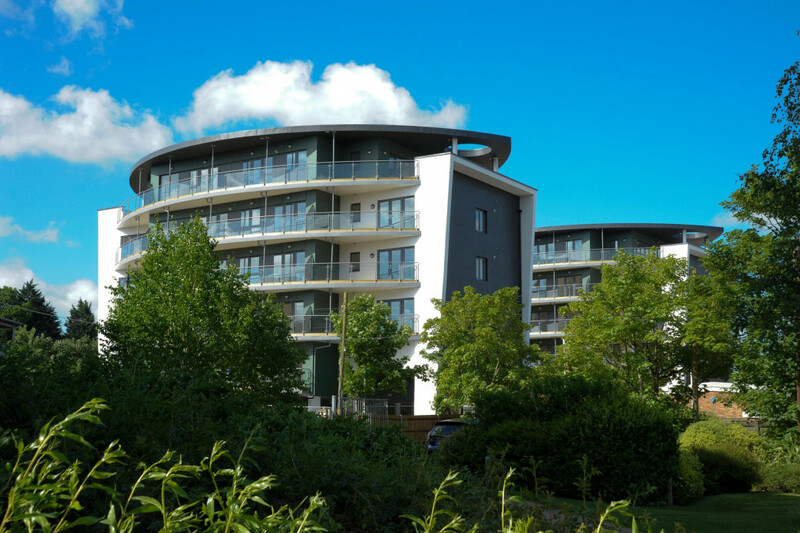 Constructed by the Chartway Group for MHS Homes, the design team was led by gdm architects. 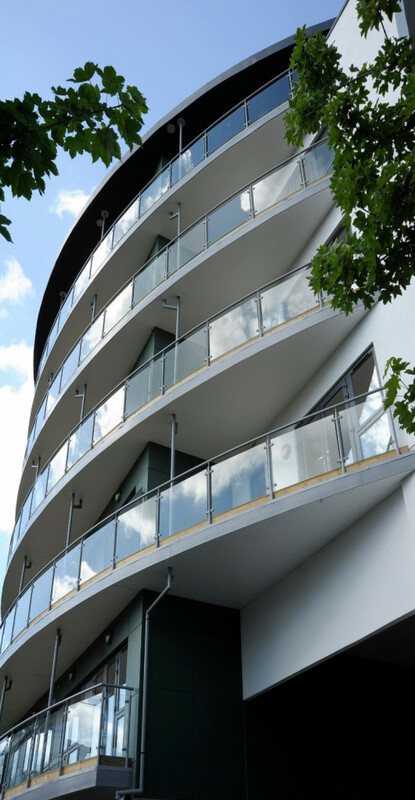 The project takes into account the aims and ambitions for the comprehensive redevelopment of the area with an attractive, well considered, imaginative development that fully engages with its riverside location. The concept design has been influenced by the adjacent residential development to the east of the site and features sculptural and dramatic forms to one end in an apartment block, and more traditional houses at the other end of the site. 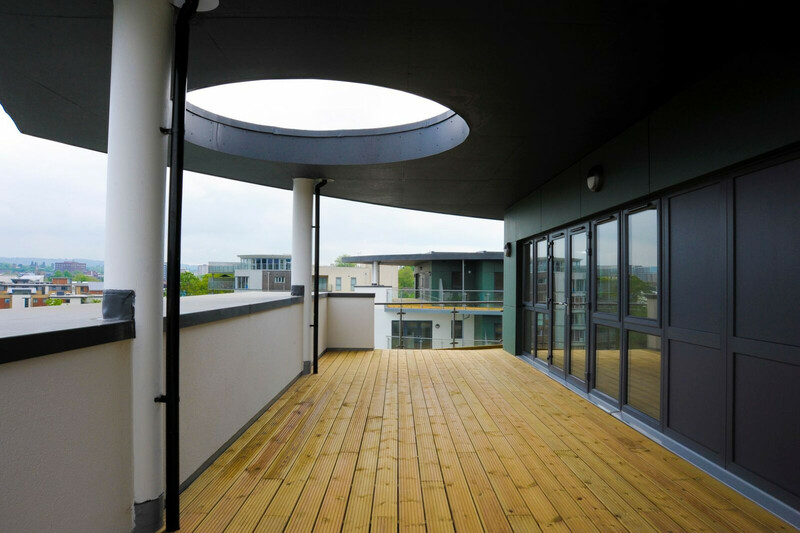 The sculptured elliptical design rises out of the ground in an unconventional way to deliver two six-storey apartment blocks within a small brownfield site, which blends in with an adjacent new development and the surrounding area.